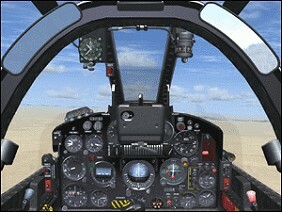 More and more panels are becoming available for Mirage aircraft. 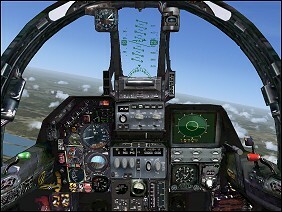 Prior to the Mirage 2000 series, French instrument panels have all been black with analog instruments. The cockpits themselves are cramped and the panels reflect this, having tall cowling sides. 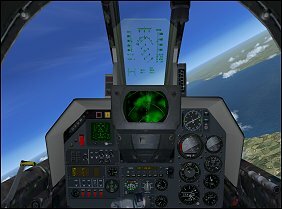 With the introduction of the Mirage 2000-5F came AMF or Afficheur Multi-Fonctions (MFD, Multi-Function Display) glass panels in French designed military aircraft. Notes: For FSX. Complete package with Kirk Olsson original and Danny Garnier VC. New gauges and standard or wide screen panel option. Bundled as a complete package. Recommend Canopy Glass Fix for FSX. 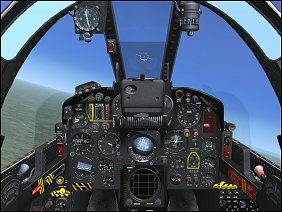 Notes: For FS2004/FSX. 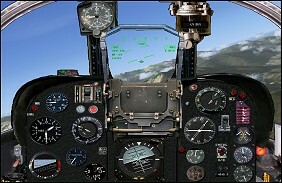 Includes gauges from Alphasim freeware. Bundled as complete package. Notes: For FSX/P3D. Very system deep cockpit. Requires Tacpack for weapons and radar. Works with Peter Dowson's MakeRunways utility. 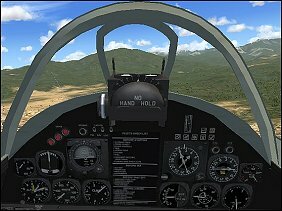 Notes: Complete package For FSX. 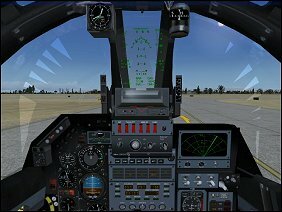 Romain Lucas SEM adapted to FSX with VC mods and new 2D Panel. Notes: Complete cockpit in two versions -- with and without rocket pack. Very "system deep" with TACAN radio, Automatic Pitch Trim, and Approach Auto Throttle. 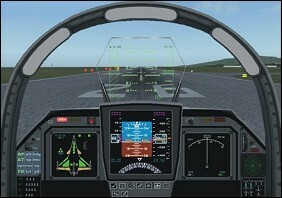 Clickable areas to make the frame transparent for improved visibility during approach. More info. Updated for Prepar3D v4. 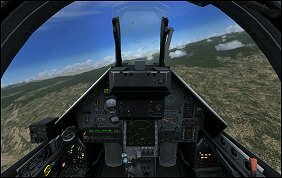 Notes: Optional second 2D panel for FSX Rafale M and A/C updates. Complete aircraft with updated flight dynamics and updates to original panel. Notes: Complete front and rear cockpits. Very "system deep" with TACAN radio, Automatic Pitch Trim, and Approach Auto Throttle. Clickable areas to make the frame transparent for improved visibility during approach. More info. Updated for Prepar3D v4. Notes: Bundled with Mirage IIICZ package. 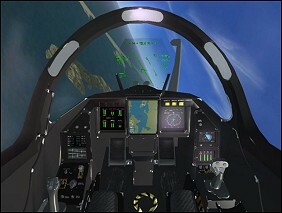 2D panel with aircraft specific gauges, and easy-to-read clickable virtual cockpit. Also features a working radar, new nav instruments, plus normal and wide screen versions. Notes: An update to previous rework of Kirk Olsson Mirage F1 for use in FSX. Header photograph Copyright 1979 SFENA - Control and Systems Division.